Apr. 12, 2018—While many might prefer to not think about dying, healthcare professionals throughout the United States are encouraging patients and their families to do just that during a national awareness campaign April 16-22 that promotes the importance of completing an advance directive for healthcare. Apr. 12, 2018—Henry Paul and Dave Robbins, members of country music group BlackHawk, as well as southern rock band The Outlaws, recently donated $40,000 to Vanderbilt-Ingram Cancer Center (VICC) in support of melanoma research. Since 2006, the band members have generated more than $100,000 for VICC. Apr. 12, 2018—Jeffery Johns, MD, medical director of Vanderbilt Stallworth Rehabilitation Hospital, has been elected to the board of directors of the American Board of Physical Medicine and Rehabilitation. Apr. 12, 2018—Asa Radix, MD, MPH, an internationally recognized medical expert and researcher on the health needs of transgender and LGBTQ people, will give the Vanderbilt University School of Nursing (VUSN) Dean’s Diversity Lecture on Monday, May 7, noon-1 p.m., in VUSN’s Nursing Annex room 155. Apr. 12, 2018—Vanderbilt-Ingram Cancer Center (VICC) will host a special event for patients and families affected by neurofibromatosis (NF), a genetic disorder that can cause tumors in the nervous system.  The Neurofibromatosis Patient and Family Symposium will be held Saturday, April 21, 9 a.m. – 1 p.m., at the VICC 8th floor conference center in the Preston Research Building, 2220 Pierce Ave.
Apr. 12, 2018—Elizabeth and Scott Massey expected to learn their baby’s gender at a 21-week ultrasound. While they learned they were having a daughter, the reveal included much more than they planned for.